I’ve made a remarkable discovery. 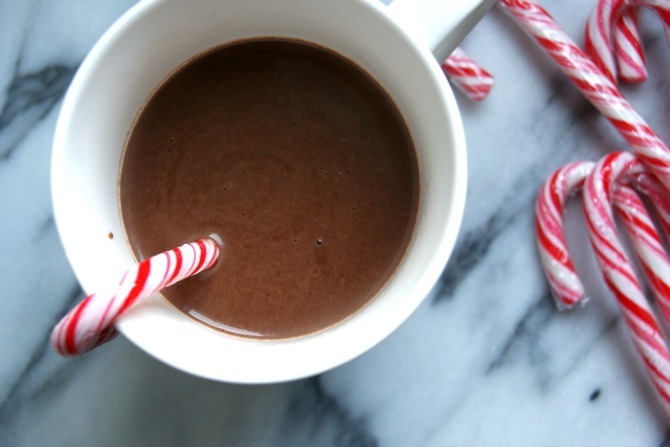 Turns out, you don’t need to shell out for fancy hot chocolate mixtures or rely on instant powders to make the best hot chocolate quickly. All you need is chocolate and milk. Did everyone know this but me?! I warmed two mugs worth of full fat milk in a pan, then broke in a couple of good sized handfuls of dark chocolate chunks. I followed this with 6 or 7 pieces of milk chocolate for additional sweetness. 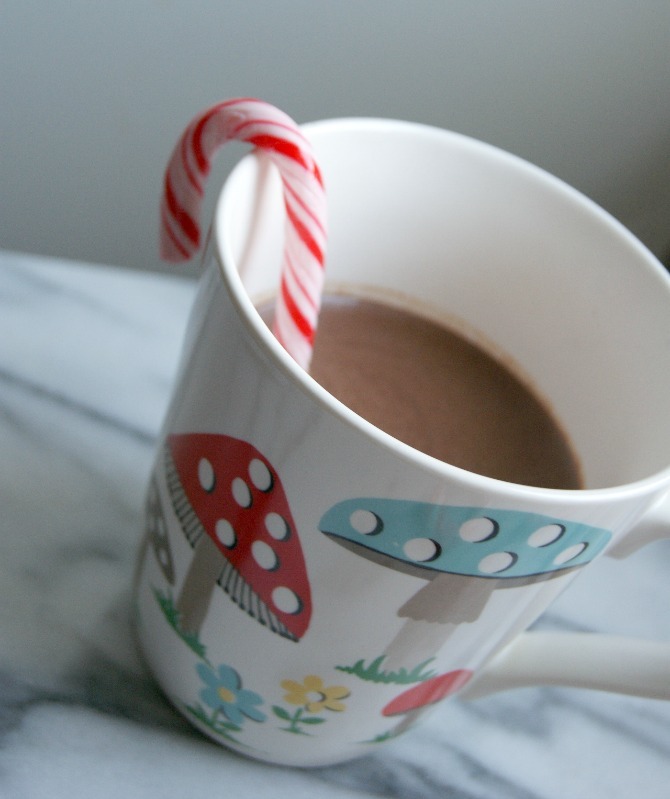 Whisk, whisk, whisk until the chocolate turns the milk dark and smooth, then serve (preferably with a candy cane stirrer). 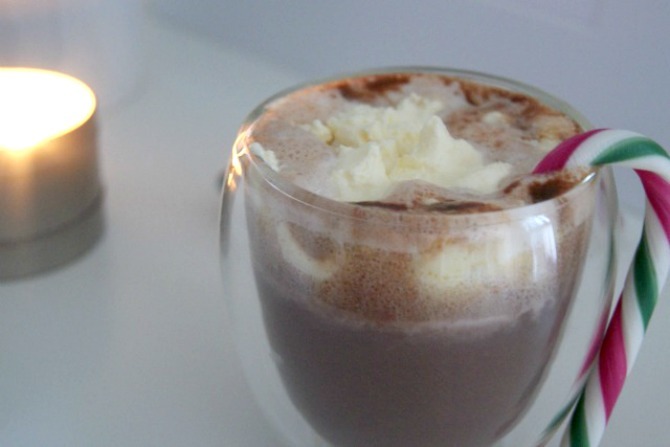 As this is made with milk instead of cream, it still benefited from the addition of whipped cream and doesn’t become too rich. 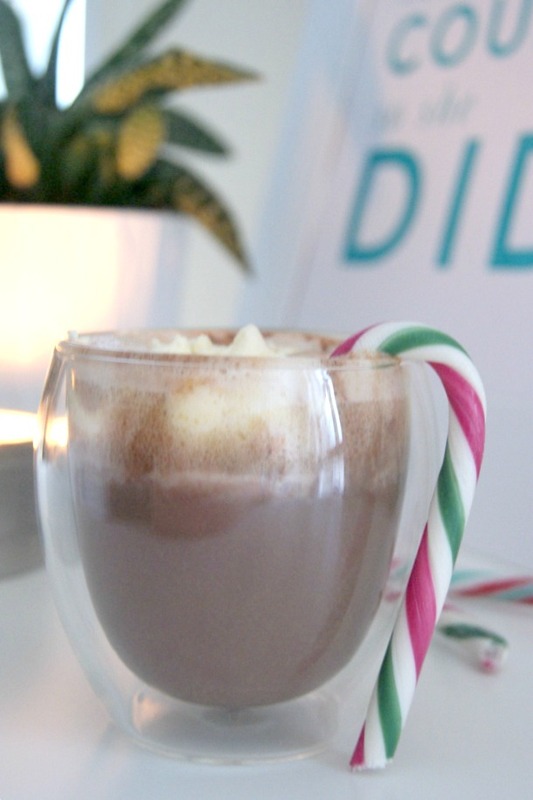 I appreciate that this photo doesn’t illustrate the most beautiful hot chocolate you may ever have seen, but does that matter when it tastes this good? 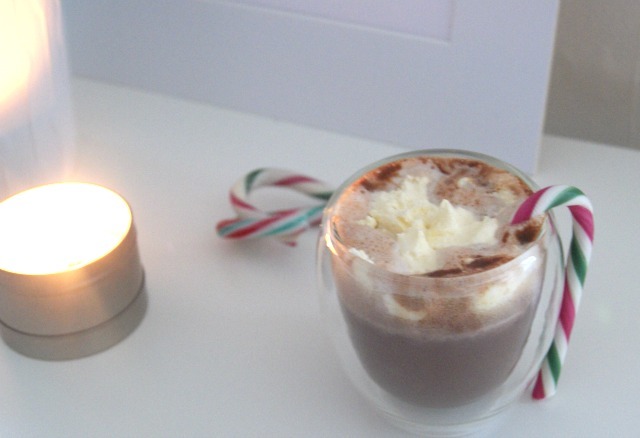 Plus, real, thickly whipped cream is actually quite unwieldy to manoeuvre onto hot chocolate, but tastes so much better than the squirty stuff. As always, I appreciate your comments and always love reading them. 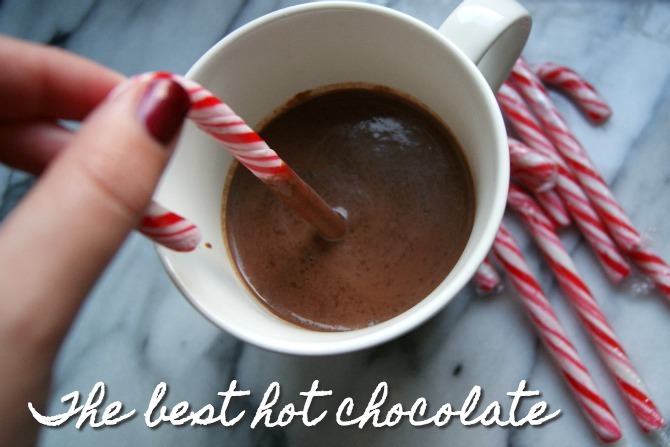 Do you have a favourite hot chocolate recipe?